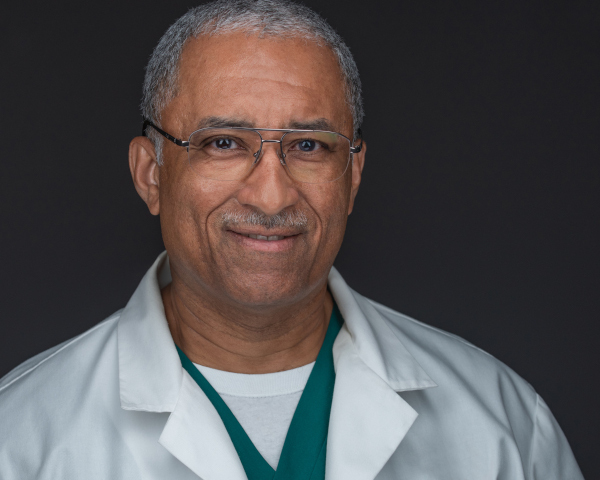 Dr. Roderick Frazier has spent nearly 20 years at Sadler Health Center as a dentist, especially enjoying work in endodontics, periodontics, and infection control at the clinic level. Before working at Sadler, Frazier spent over 20 years as a dentist in the United States Army. He earned his Bachelor of Science from Bethany College in West Virginia and his Doctor of Dental Surgery from Howard University College of Dentistry in Washington, D.C. He is a member of the American Dental Association, Pennsylvania Dental Association, and the Organization for Safety, Asepsis and Prevention and the Rotary Club of Carlisle. In his spare time, he enjoys watching movies and TV, reading, exercising and bird-watching.